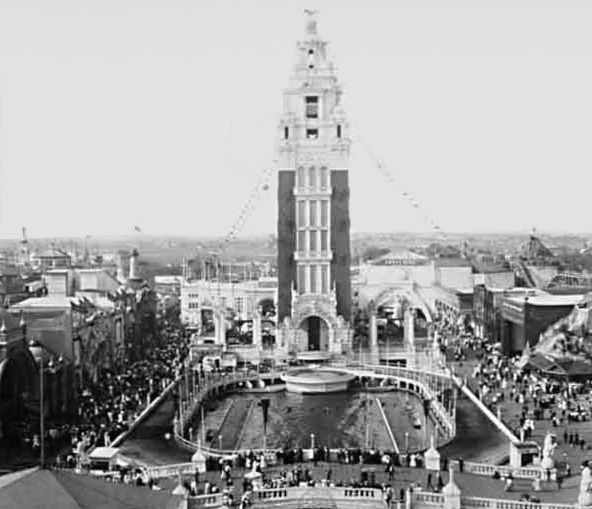 Located in Brooklyn, New York, Coney Island was founded by Dutch settlers by the early 1600s. In the years that followed, between the 1870s and 1890s, many luxury hotels were built on the island and a railroad extended as well. Later on, this area became a beach resort. Then, a development made Coney Island be given a new description. Coney Island was the place to be. Often referred to as the “Nickel Empire”, this area was one of a kind. A nickel would pay for a ride on any of the amusement parks in the area. Better yet, you would also be able to buy a delicious Knish, a deep-fried baked potato cake, with it or even a sumptuous hot dog. Described as the heaven at the end of a subway ride after the developments, Coney Island did not end at that. In 1895, the first enclosed amusement park called Sea Lion Park was opened. Luna Park, Dreamland and Steeplechase Park amusement parks followed. Another major attraction was the carousel created by Charles Looff, which was the entertainment area’s first ride. Other major attractions on this unique and peculiar island included a 300-foot Iron Tower moved to Coney Island in 1877. While there, a person or a group could rent a private space. This, coupled with many other activities such as circuses and acrobatic troops, made Coney Island an amazing real-life experience. Back then, postcards became a way of promoting the place across the nation. Coney Island was at its height in the late 1800s and early 1900s. After the Second World War, visitor numbers began to drop as the area faced competition from new, less crowded beaches and parks. However, the sheen of Coney Island never truly wore off and people still flock there in summer. Traces of its past are plentiful, and modern visitors can enjoy a hotdog at Nathan’s, take a spin on a 1927 rollercoaster and stroll along the boardwalk which opened in 1923.